This example demonstrates how to use 3rd Party Storage in SOLIDWORKS API to embed and extract the file content directly into the model stream. Example SOLIDWORKS add-in is built using the SwEx.AddIn framework but it could work with any other methods of creating the add-ins. AddFile - asynchronous method to store the embed file data in the stream. This method asks user to select the file, reads its content and serializes it into a file stream. Click “AddFile” button. 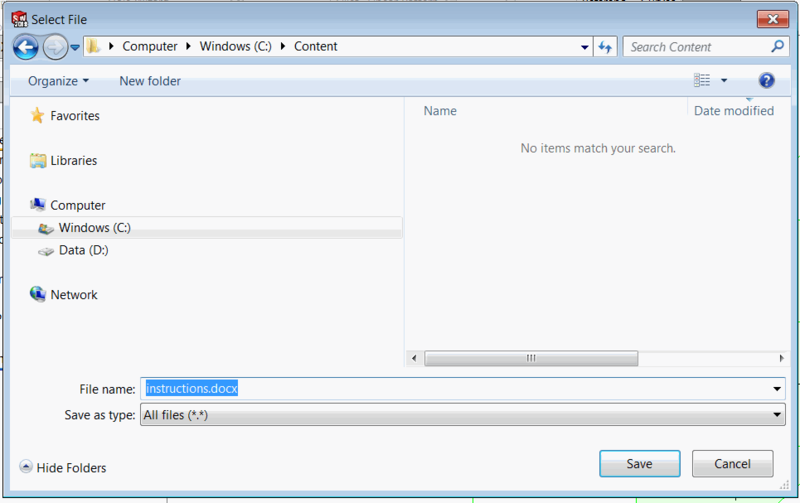 File browse dialog is displayed. Select any file. File data is serialized into the model and message box is displayed. Private Const STREAM_NAME As String = "CodeStack.EmbedFile"
fileDlg.Filter = "All files (*.*)|*. *"
For simplicity IStream com stream is wrapped into the System.IO.Stream type. Serialization and deserialization routine utilizing the XmlSerializer class, but any other serialization methods could be used.